Don't I Qualify for Unemployment Benefits? 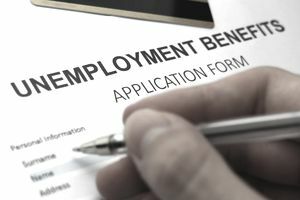 There are circumstances in which you may not qualify for unemployment benefits. If you have not been at a job longer than three months, they can deny you benefits, even if you were laid off. If you have been fired for wrongdoing, you may not qualify for unemployment. Additionally, if you have just graduated from college, you are ineligible for unemployment benefits. If you do not qualify for unemployment, you need to address several issues immediately. First, you need to determine how much money you have available to cover your expenses and how long it will last. It means looking at your savings as well as your spouse’s income if you are married. Since you do not qualify for unemployment, you will not have as much of a cushion while you are looking for a new job. Once you have done that you need to look at your bills. You should cut out all unnecessary expenses. It means cutting out cable, canceling your gym membership, and stopping all of your entertainment expenses. If you have bills that you need, such as cell phone, look into cutting back your plan to the bare minimum. Consider accessing the internet at friend’s house or at the library. Look for ways to seriously reduce your spending. It is important to cut back as much as possible and to establish a bare-bones budget that will meet only your necessities. It will help you make it as long as possible without losing your home or destroying your credit. You should have a backup plan ready for housing and other expenses. If you have just graduated, you may consider moving back in with your parents while you hunt for a job, or having a roommate move in to help cover expenses. Be resourceful and consider all options. The lower the amount you need each month means that you will not run up debt while you are looking, and it can give you extra time to find a job. Open up your job search. You may need to look in a different field or different area than you were original. Additionally, you may take a part-time or a temporary job so that you can continue to keep the lights on. Retail work or fast food work may not be very enjoyable, but it can help meet some of your basic needs and often offers flexibility for when you do begin to interview. You should also look at ways that you can raise some money to help pay the bills. It may mean selling things, or it may mean working as a freelancer. You may be able to pick up odd jobs here and there to paint a house or doing yard work. All of these little things can add up and make a big difference. Do not give up. Keep looking for a job, and reach out to make connections. Use the internet, Facebook, Twitter, and any other networking that you have available to you while you continue to look for a job. Your persistence will eventually pay off. When you do not have any income, you need to be willing to work at jobs that you may not normally consider, even if it is just temporarily. You may also want to look into local resources for the unemployed. Although you do not qualify for unemployment, the unemployment office may be able to help you learn about job fairs or have resources to help you look for a job. You may want to consider workshops that help with interviewing skills or get help updating your resume so that you are more competitive while you are looking for a job. It is important to be as proactive as possible in this situation. If you are struggling to put food on the table, and if you have children, you may want to see if you qualify for any social services benefits. Also, to help with food, they may offer training or help with childcare while you are interviewing for a position.